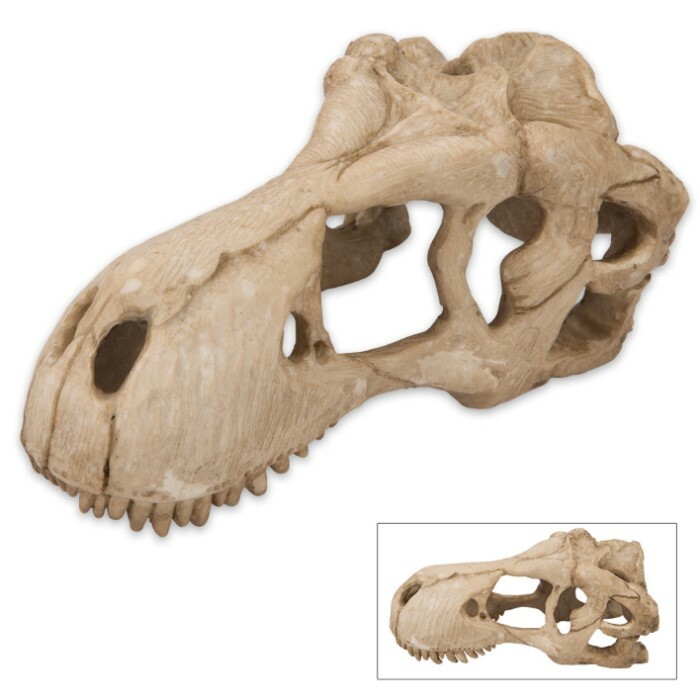 Tyrannosaurus Rex Replica Skull | BUDK.com - Knives & Swords At The Lowest Prices! 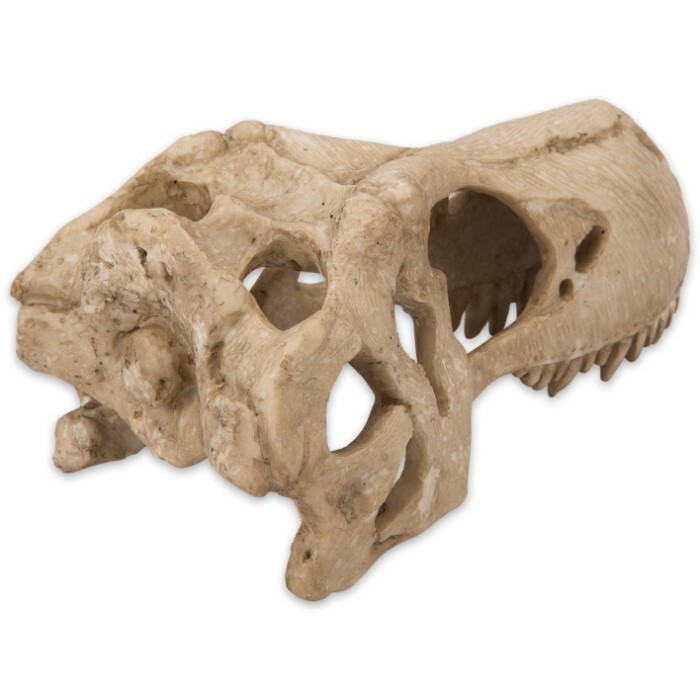 Want to own something that looks like it is millions of years old? Expertly sculpted in high-quality resin, our Tyrannosaurus Rex Replica Skull looks like it is the actual skull of a tyrannosaurus, except for the size. No detail was spared to make sure it looks like genuine bone. 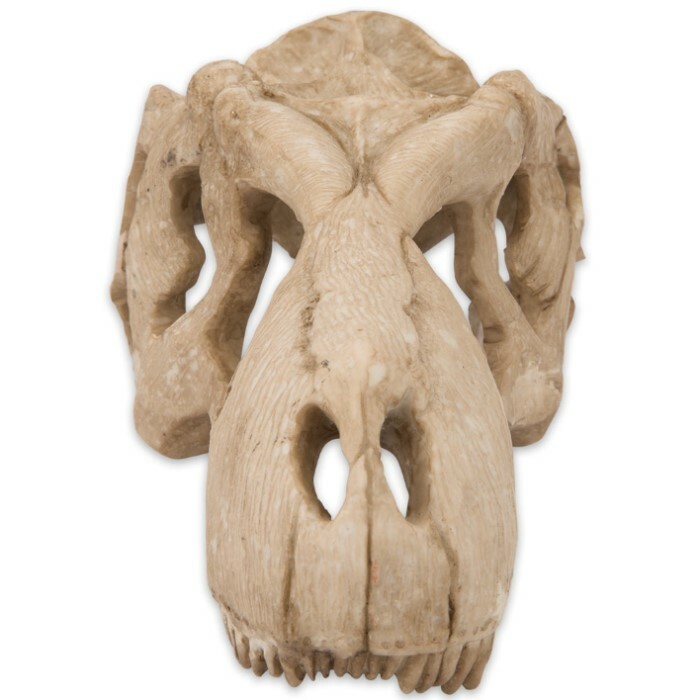 This prehistoric reproduction makes a great accent piece for a kid’s dinosaur themed room. Fine quality and original design make our home decor collection stand above all others!